Written by Rosamond Orde-Powlett. Directed by Dan Zeff. 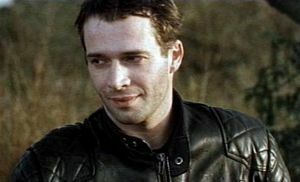 Joe: JAMES PUREFOY; Olivia: GERALDINE SOMERVILLE; Gwennie: PATRICIA HODGE; Arthur: BENJAMIN WHITROW; Rona: MATILDA ZIEGLER; Mick: ANGUS WRIGHT; Wyatt: TOM WILKNSON; Mariana: ORIANA BONET; Maggie: CLAIRE CROGAN; Air Steward: MATT LUCAS.